Throughout life, people come across things that can make it more difficult. Fortunately for most, they are resourceful enough to come up with a solution to the problem. Some people, though, go above and beyond, coming up with ingenious hacks that we all wish we had thought of first. This can range from workarounds to easy fixes for the most common of problems. Most often these hacks and ideas are designed to make life a little easier, sometimes with hilarious results. And it doesn’t matter who the person is, whether they have been around the block a time or two, or are just getting started in life, anybody can come across an idea that simply works. So, if you are looking for a solution to a problem you are having, here are some potential life savers from people who are too smart for their own good. This guy has the right idea. He turned his charger plug into an ingenious way to watch videos on his phone hands free. 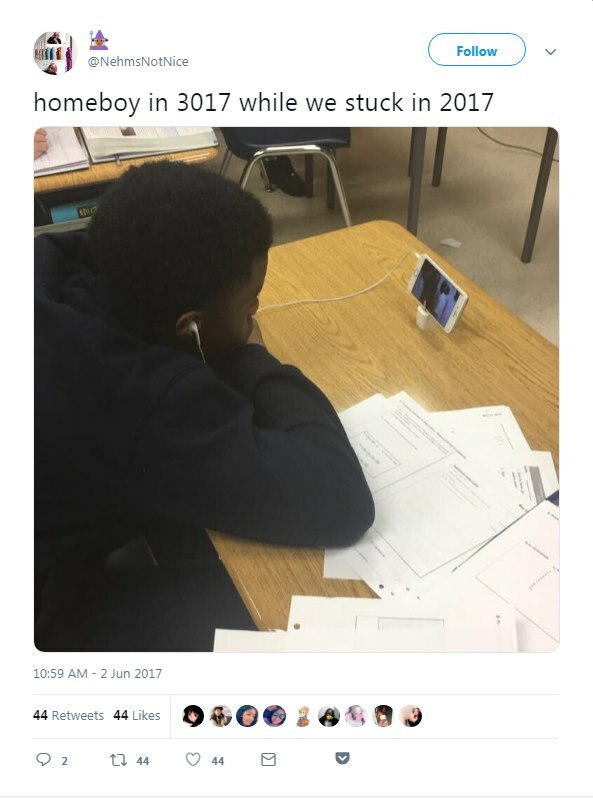 No more being bored in class, though I don’t know how the teacher will react if she catches him on his phone. 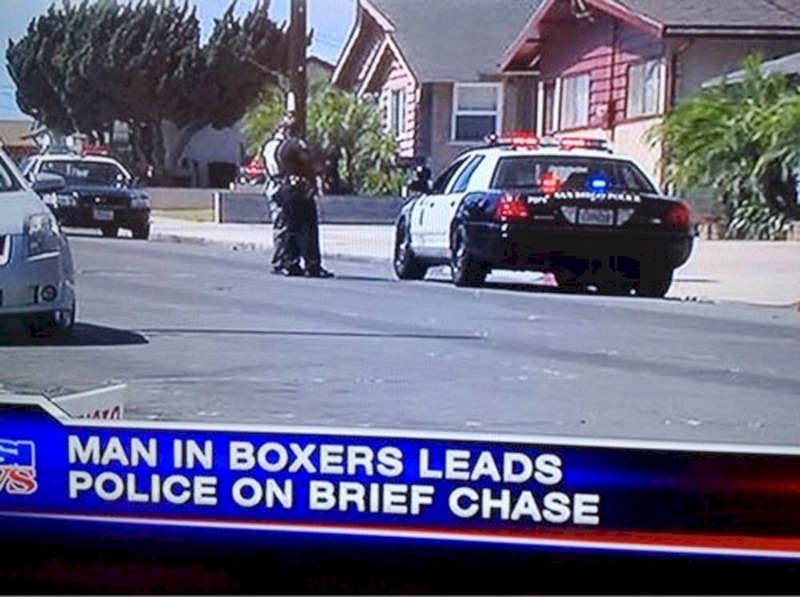 Let’s just hope he doesn’t get caught. 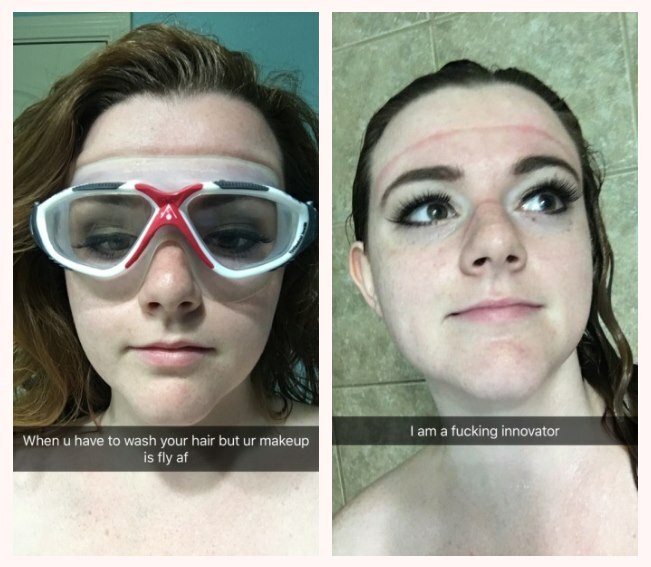 What is a person to do if they have their makeup looking great but need to wash their hair? Throw on a pair of swimming goggles of course. This allows you to wash your hair while keeping your makeup dry. 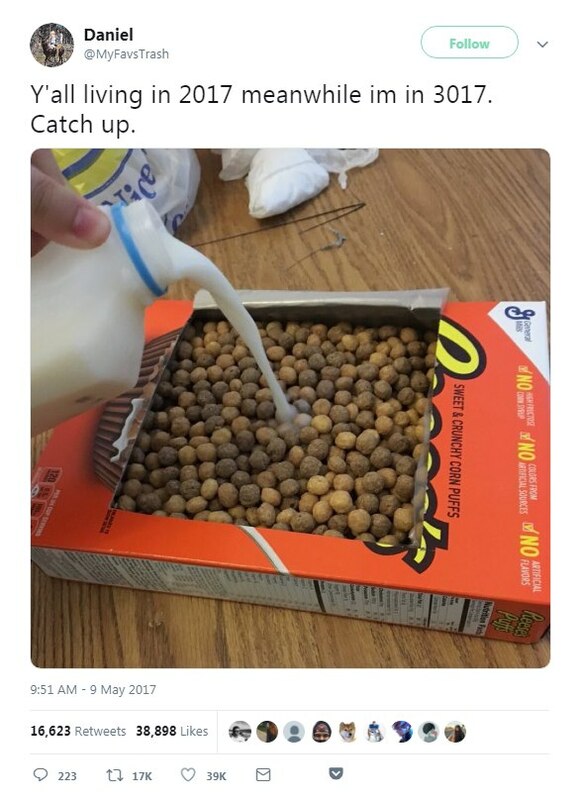 While I don’t recommend eating this much cereal in one sitting, it is a great idea if you don’t have a bowl. Hopefully, you do have a spoon though. Even if you didn’t, I am pretty sure this MacGyver could whip something up for you to use. Harsh words, but true nonetheless. This is even truer if you cry a lot and your tears run down into your mouth while you are eating said caramel. Maybe that’s not the prettiest of pictures, but hey it works if you are craving salted caramel after a bad day. 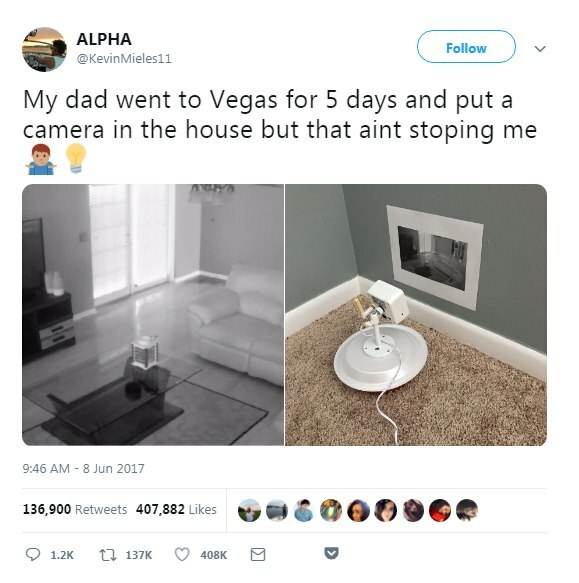 This idea is all good and dandy until his dad checks the camera when it is supposed to be dark. Granted, if the kid contains his trips to during the day, he should be fine. I bet he forgot all about it and was caught. Well, here is an ingenious way to keep your dog calm at bath time. 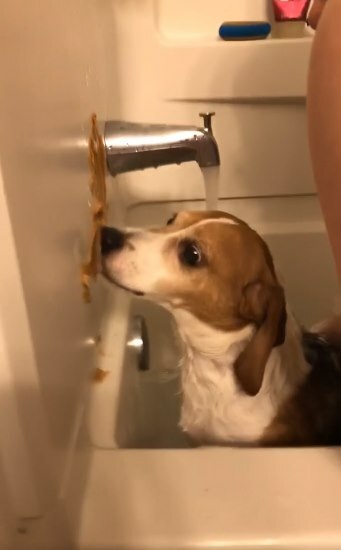 Now, all the dog owner has to do is clean the wall of the bathtub. While this idea might work to keep his dog calm, it does seem to create more work in the process. 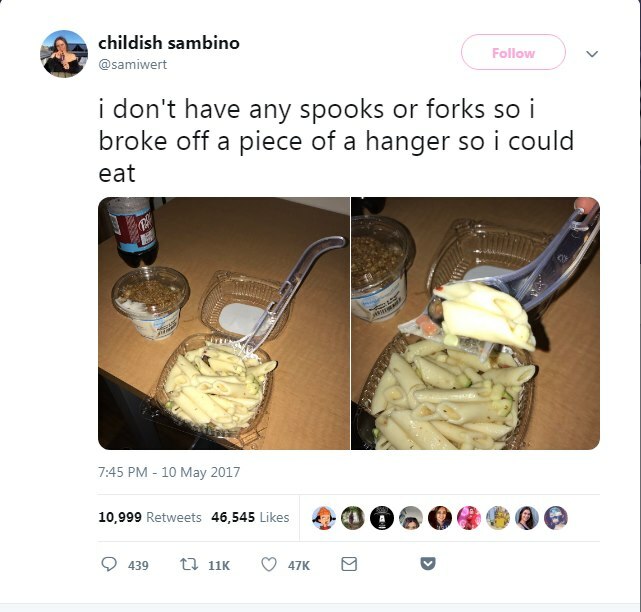 This person had no spoons or forks, so she made do with the closest thing at hand, a plastic hanger. Too bad they had to ruin a perfectly good hanger, but a hungry person does what they must. I honestly have no clue what this person is talking about. 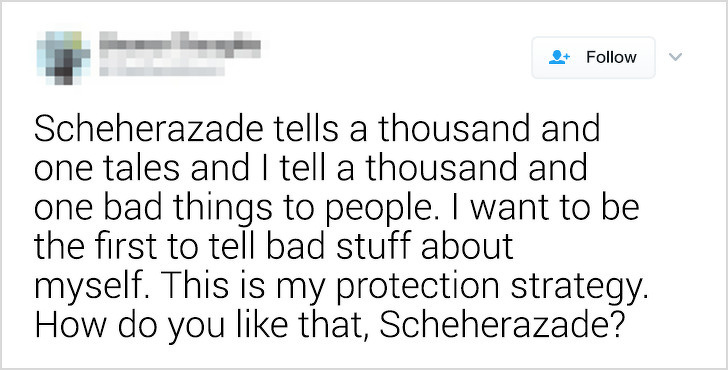 If you don’t know, Sheherazade was the storyteller in One Thousand and One Nights. I don’t think this person would have fared well with the Sultan as he would have tired quickly of hearing such bad things. While at the club, a guy handed this girl his card. Upon scanning the QR code, her phone gave access to all of his social media accounts. Talk about a next level number exchange. 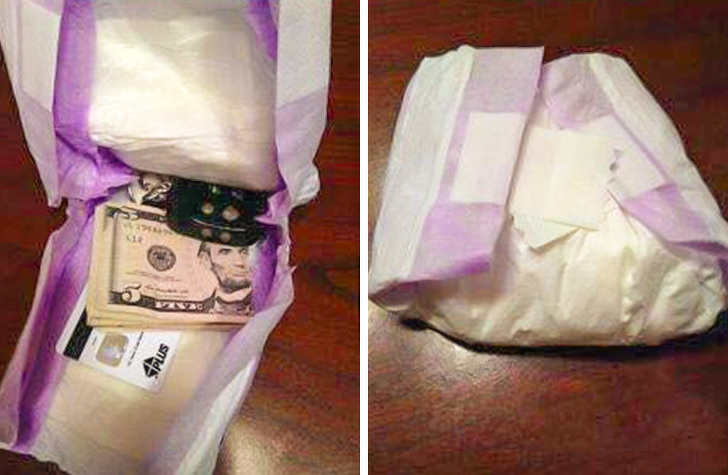 The next time you need to hide your valuables, just do like this person did and hide them in a clean diaper. Chances are any would-be thieves won’t even think to look there. You do need to be careful and make sure the maid service doesn’t throw it away while traveling. Straight from the “I am Pretty Sure This has Already Been Done File” comes a water bottle lid on a wine bottle. 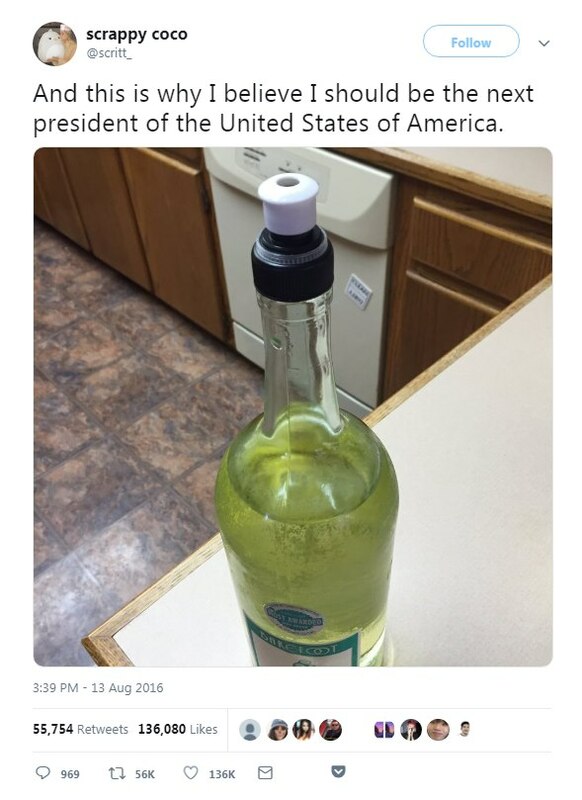 Trust me, wine lovers everywhere have been looking for easier ways to drink the wine they love for ages. Chances are, someone has already discovered this hack. 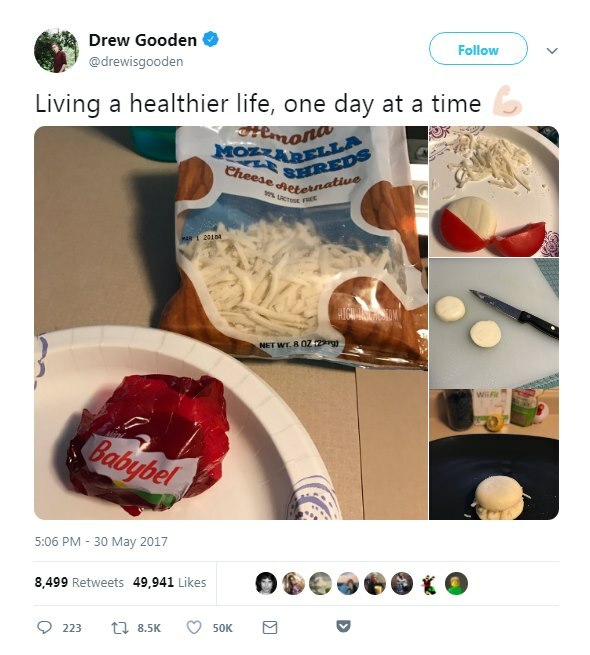 This person found an easy way to make a simple cheese snack. Take one Babybel cheese, cut it in half, and sprinkle on shredded mozzarella, or other cheese of your choice. This gives you a delicious little snack to eat in between meals. Best of all, it is healthy for you. 3The inventive person is always on the lookout for ways to improve upon their everyday life. 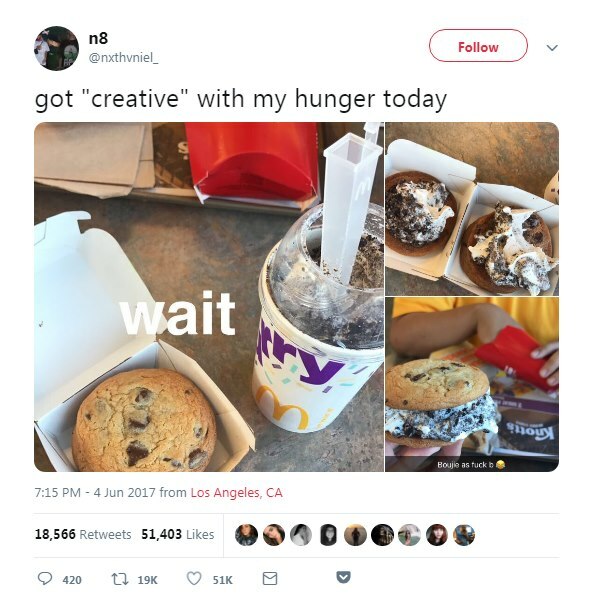 Take this genius for instance, they took two simple McDonald’s snacks and turned them into delicious medley of flavors. I have to try this now! 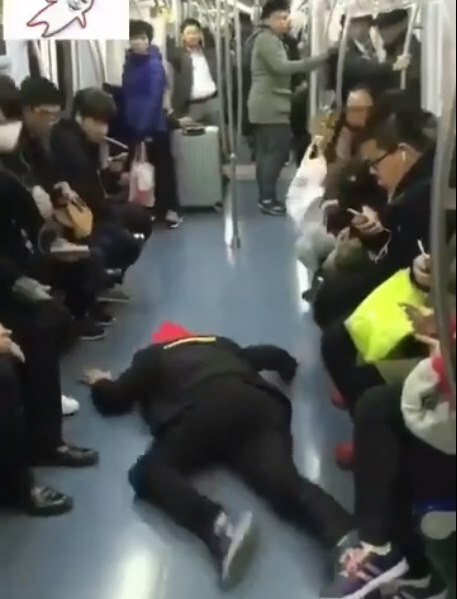 Though crude to say the least, this person seems to have found the perfect way to get a seat on a crowded subway train. Simply fall down like there is something wrong with you, and then when everyone gets up to get away from you, take a now empty seat. 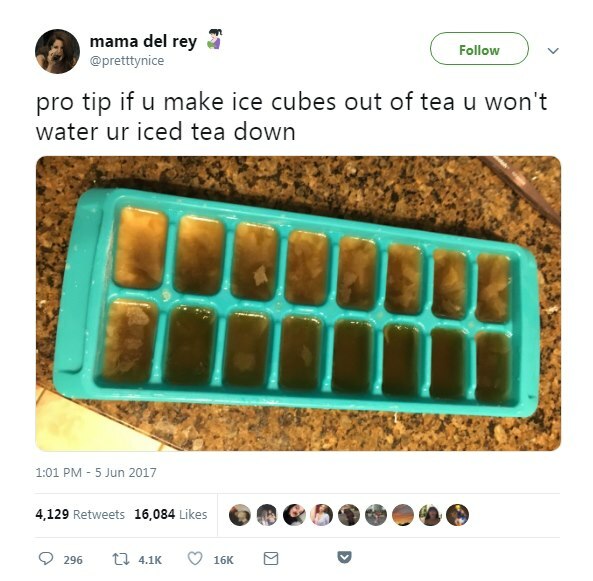 Here is an innovative way to cool your tea, ice cubes made out of ice tea. As the poster says, this is the perfect way to keep your ice tea from getting watered down. Tea lovers everywhere rejoice! What a loving and thoughtful husband, at least until his wife gets sick, gets pneumonia, and dies. But until then it is sort of romantic. Then again, it could be viewed as manipulative. 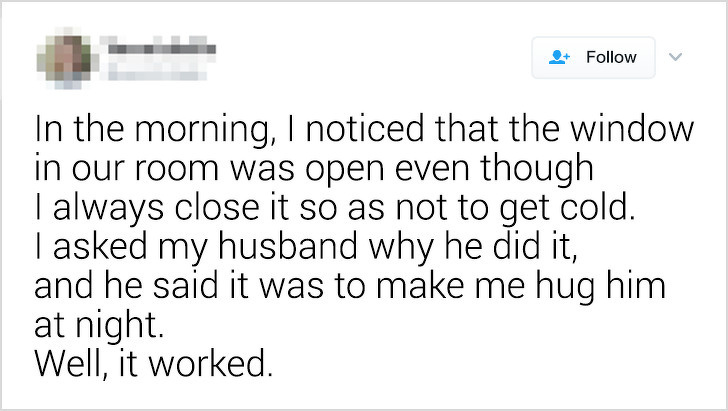 Why not ask for a hug instead, or even give his wife one first? Though I don’t think it is that genius. 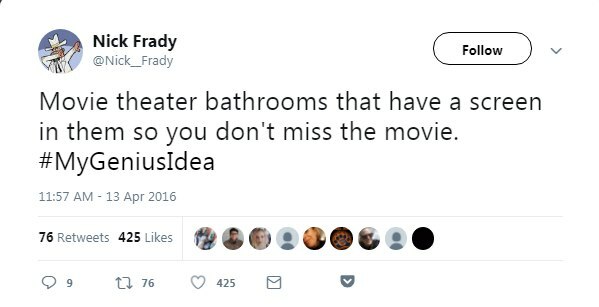 What is to keep someone from simply going in the bathroom and watching a movie there for free, and how would the theater know which movie to play for you. Maybe someday, in the near future, after technology has caught up. 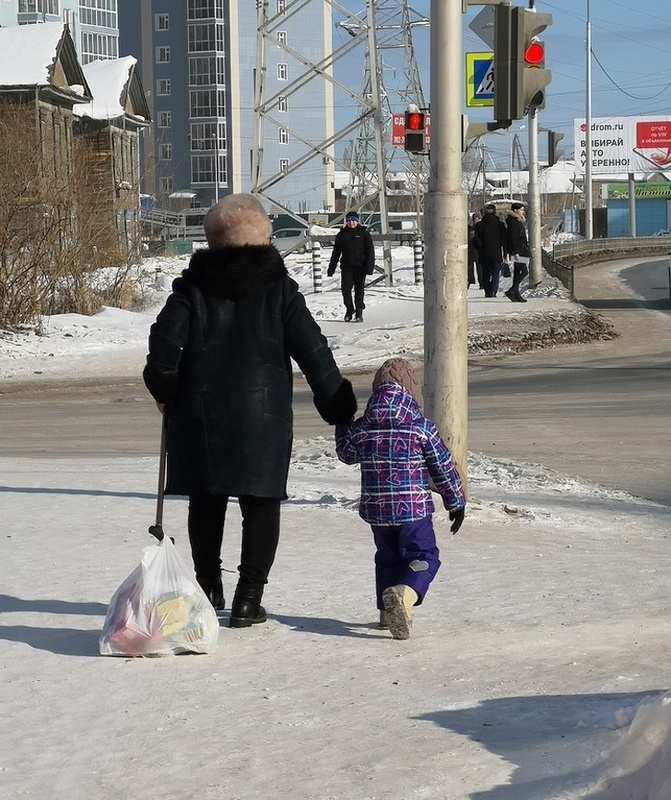 This grandma has found an ingenious way to take home her groceries without having to carry a heavy bag. She placed all of her groceries into a garbage bag and then drug them behind her using her cane. I just hope the bag is tough enough and doesn’t break. 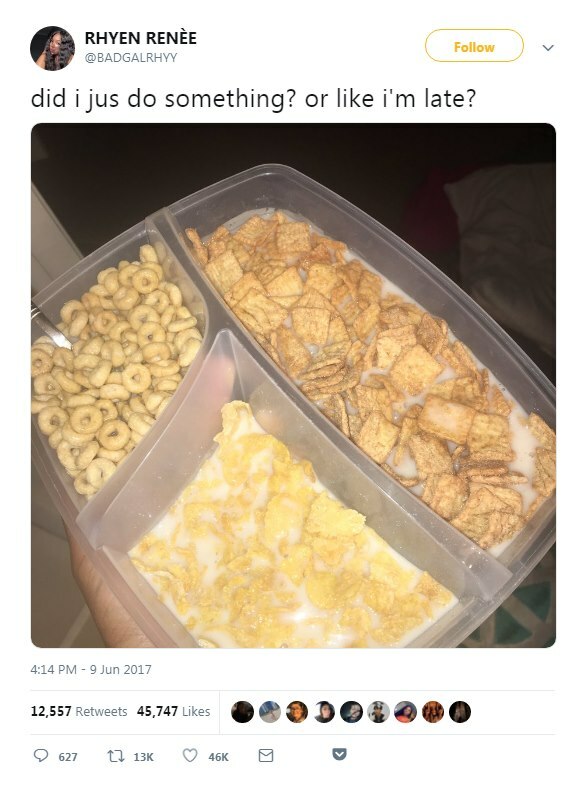 For those of us who can’t decide what cereal to eat for breakfast: use a multi-compartment food container. Now, as long as you don’t have breakfast for dinner, you are all set. That would be anarchy! 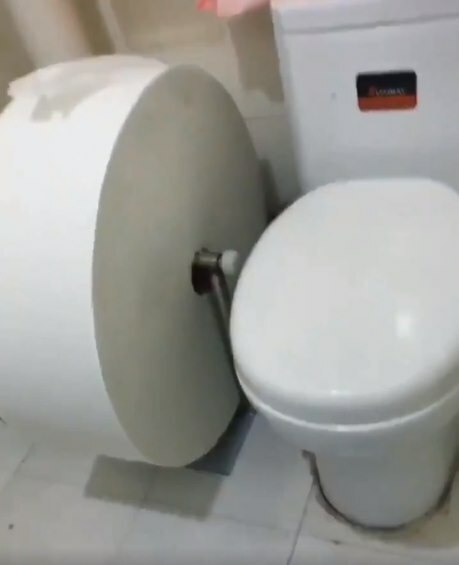 For people who use too much toilet paper, introducing the Ultimate Mega Roll. Now, all you need to install it on the roller is a friend and you are all set for maximum bathroom bliss. Please, keep small children away from the bottom of the roller to avoid injury while in use. Whoever set up this display is tuned in to the female condition. Chances are that this display needs to be refilled multiple times a week, maybe even once a day. 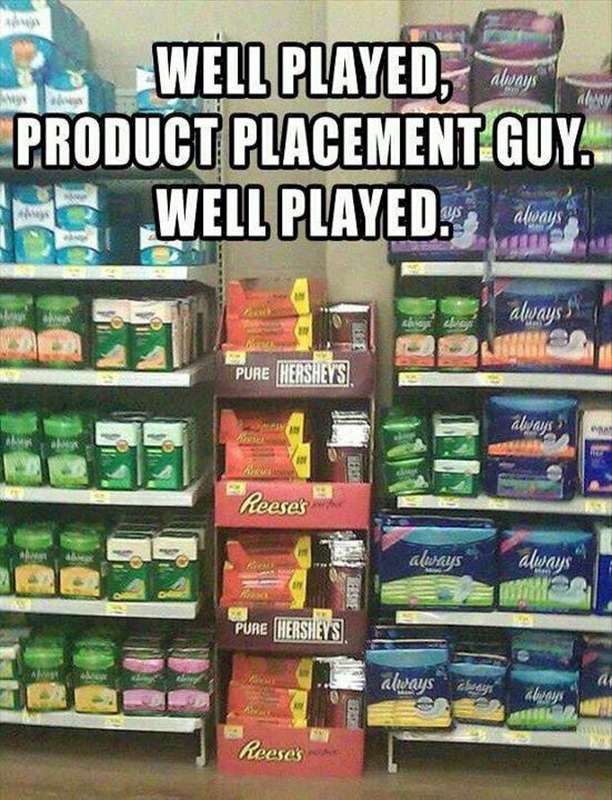 Not to say that all females crave chocolate during these times, but enough do to warrant this genius product placement. I am still not 100 percent certain this would work in the first place. Plus, it is kind of dishonest. 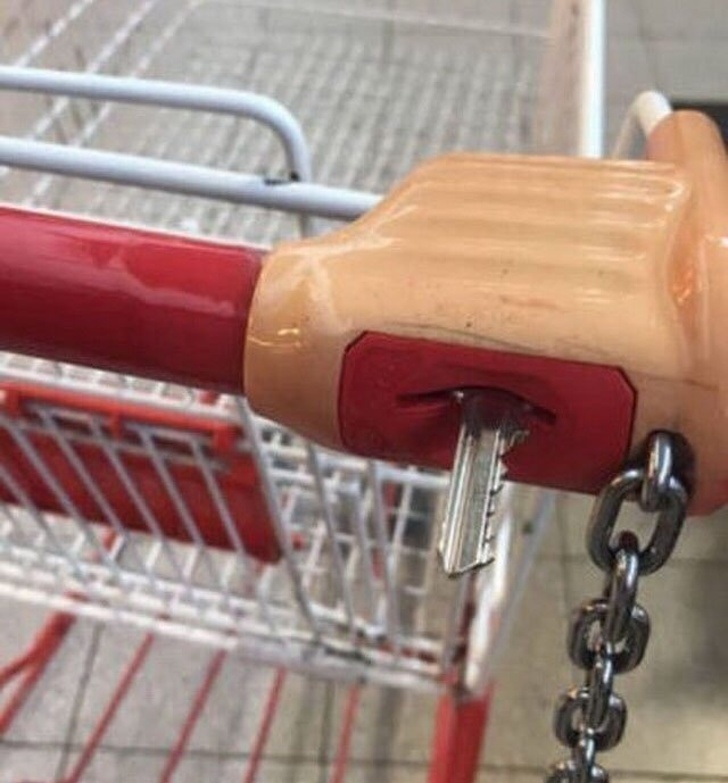 Available at some of the newer economical grocery chains, the use of a quarter to unlock a cart ensures that the carts are returned to the store where they belong. This in turn saves the store from having to hire someone to retrieve the carts, helping to keep costs down. 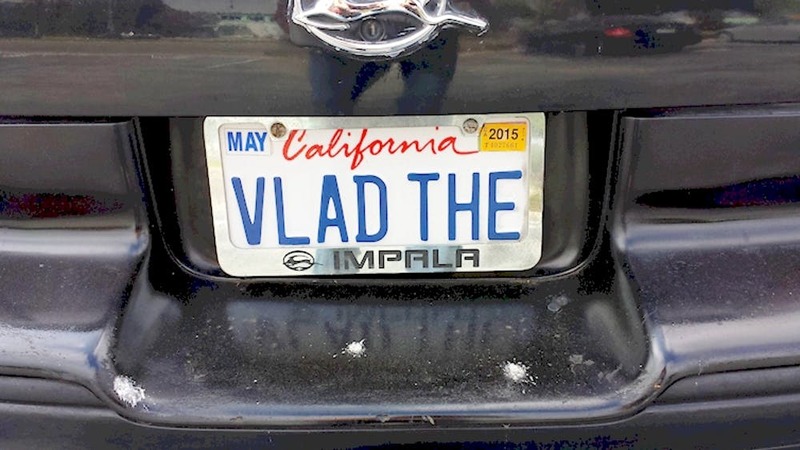 As long as this plate owner drives an Impala they are all set. It does look like they need to clean the bird dookie off the back of their car though. I doubt the Impaler is too cool to be seen driving in a car with that on it. 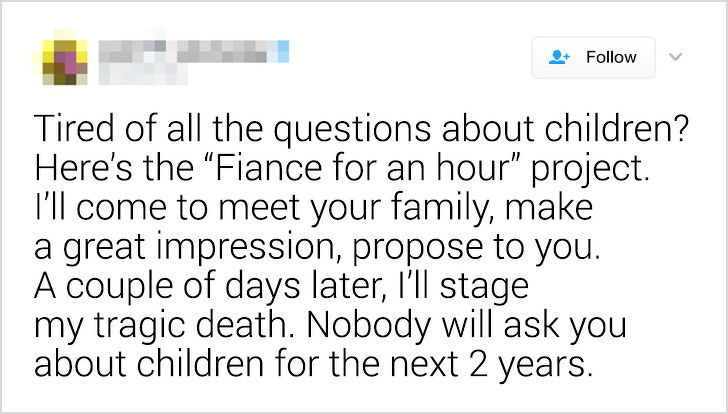 Here’s a guy with a genius idea, the “Fiancé for an Hour.” Not only will he meet your family, he is even willing to fake his own death to get your parents off of your back about having children, at least for a year or two. 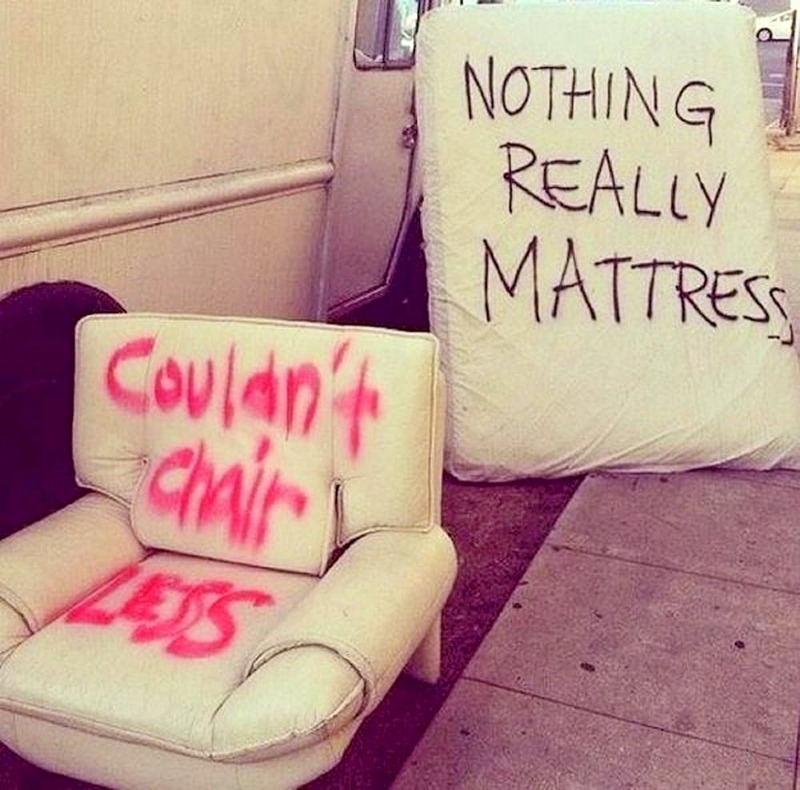 This person is a real pun master. I don’t mean to couch it in these terms, but these are kind of simple. I hope he can get bedder at it. Here is a helpful little office hack. 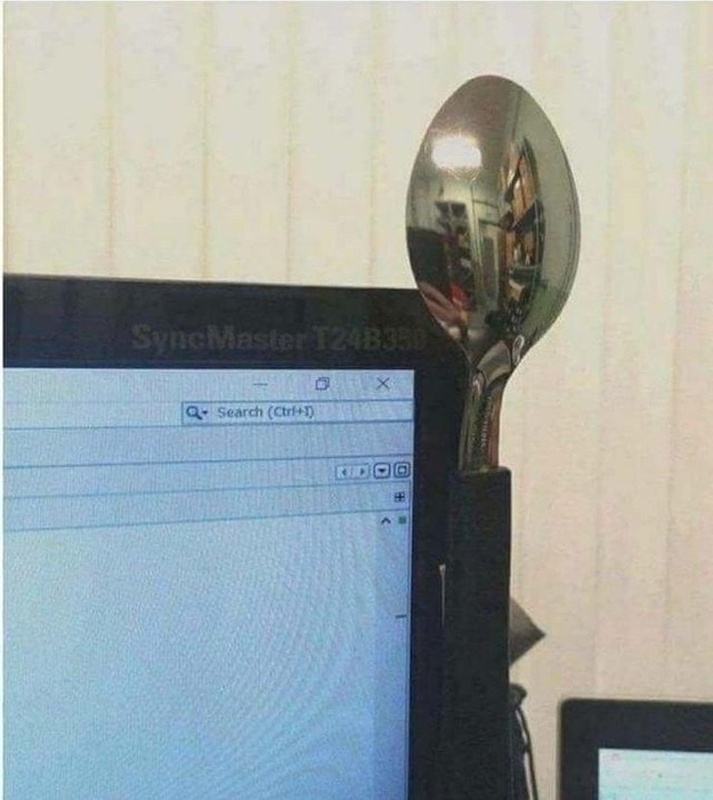 Attach a spoon made of metal to your monitor to act as a mirror to see behind you. That way, if a supervisor or your boss walks into the room, you can quickly switch over to work if you are doing something else. The person who wrote this blurb is a real wordsmith. They could seriously write for television if they wanted. I’m curious as to what other gems this person has come up with over the years. When you windshield wipers don’t work and you have to improvise. Look at it this way, you can also save money by using this method, though in hindsight I don’t see how this really helps the driver. 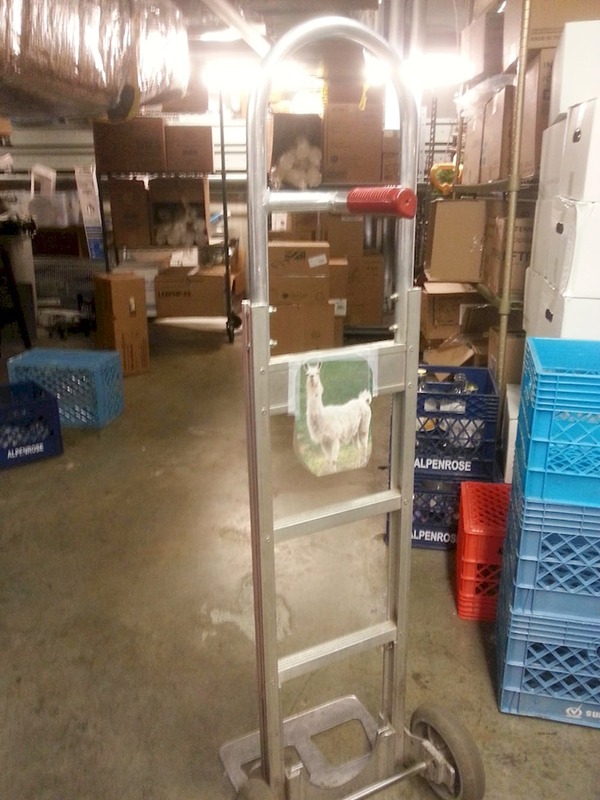 Many people want to meet the Dolly Llama, but few are able to actually make the trip. At least in this case, he is hanging out in a warehouse and is easier to access. 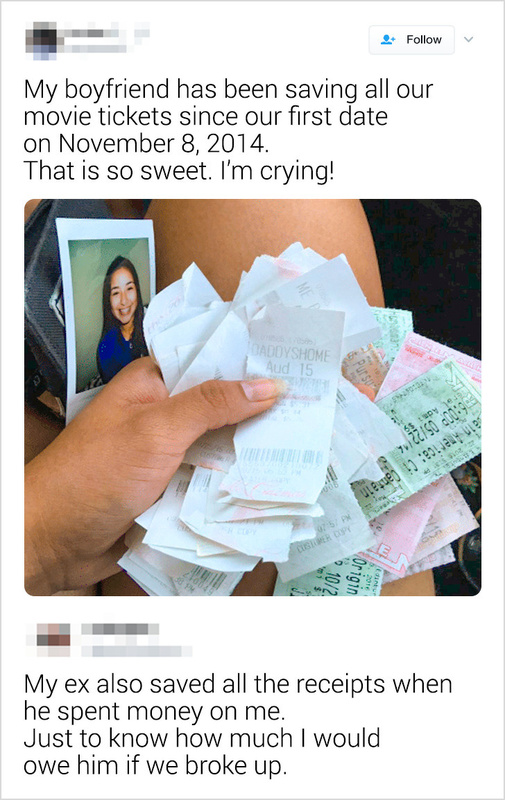 While the original poster thinks it is sweet that her boyfriend keeps all of their movie tickets, little does she know there is probably an ulterior motive behind it. At least their friend set the record straight, so she would have a heads up if they ever did break up. 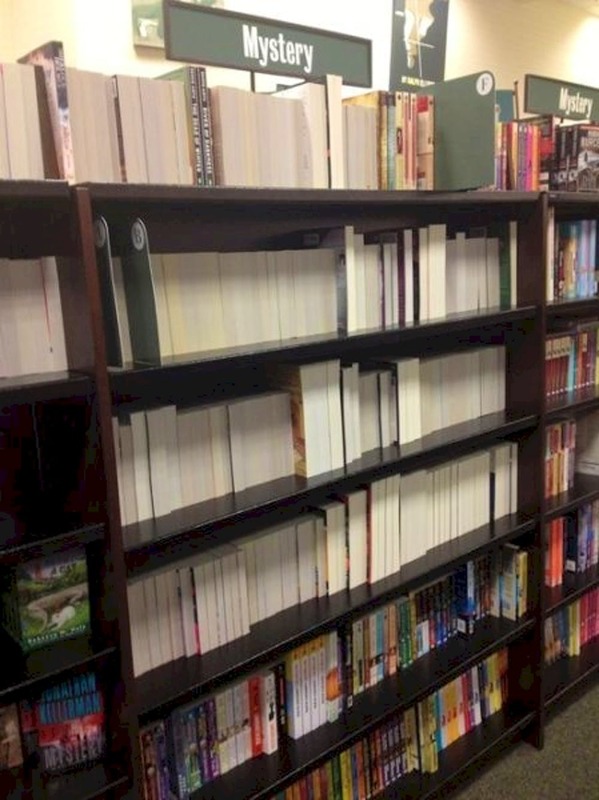 This bookstore has the ultimate mystery section. Not only do you not know which book you are getting, you have no way to know if you’ve read the book before. And no peaking, you wouldn’t want to spoil the surprise. I don’t know what world this person is living in, but I honestly don’t see how you could make a crinkly, plastic bag soundproof. And besides, the more you drink, the less you care about what others think. So, it is a problem that solves itself. 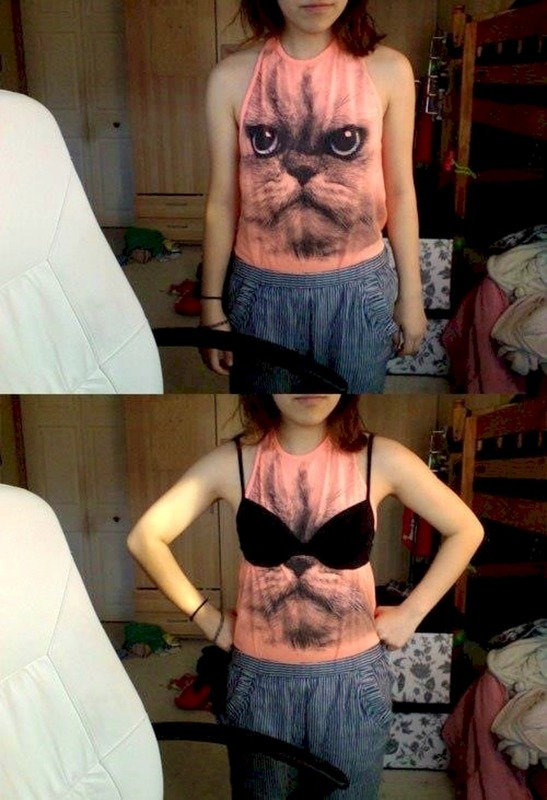 Little did she realize how embarrassing the placement of the cat’s eyes would be when she bought this shirt. Luckily, she is smart and found an easy fix for the problem. Madonna, move over! 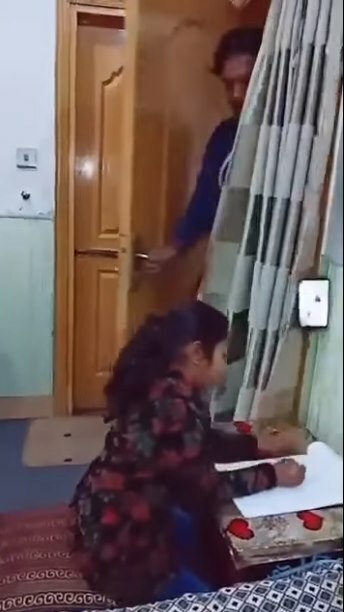 This little girl has really gotten inventive ever since her dad told her she couldn’t have her smartphone while doing her homework. It must have taken some careful thought on her part, and best of all, dad is none the wiser. 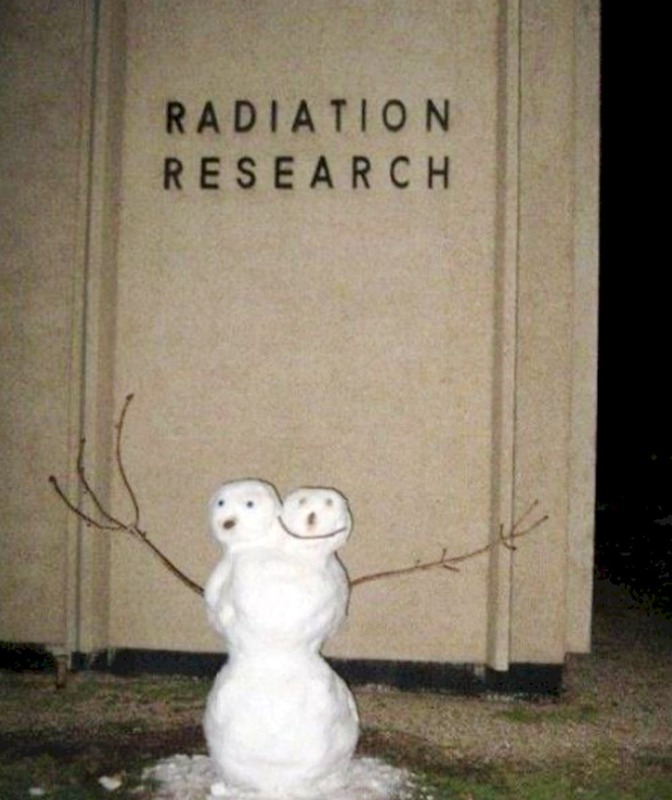 At least the workers at this radiation research center have a sense of humor. Chances are, there are far worse things created by exposure to radiation on this planet. This person’s idea of what to do with his little brother while playing is a little morbid. Hopefully, this is not the first sign of years of therapy for the poor younger brother. This poster is a wiz at posting on social media. 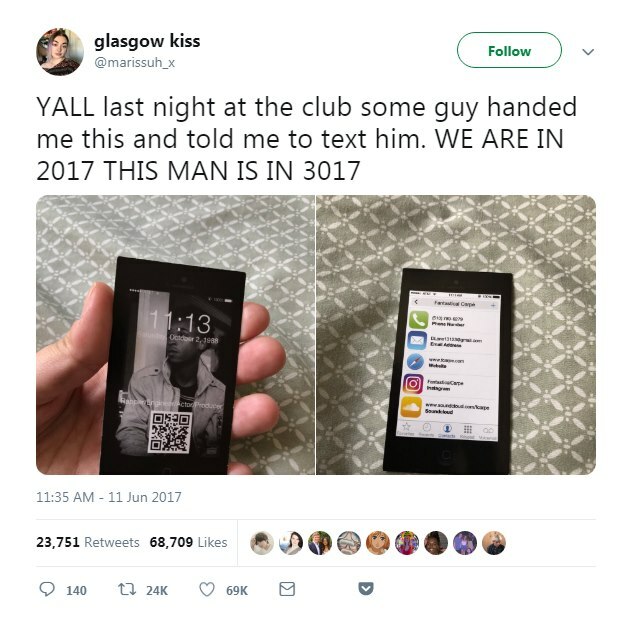 Chances are the second post was actually posted first, but could you imagine if time travel was actually real. 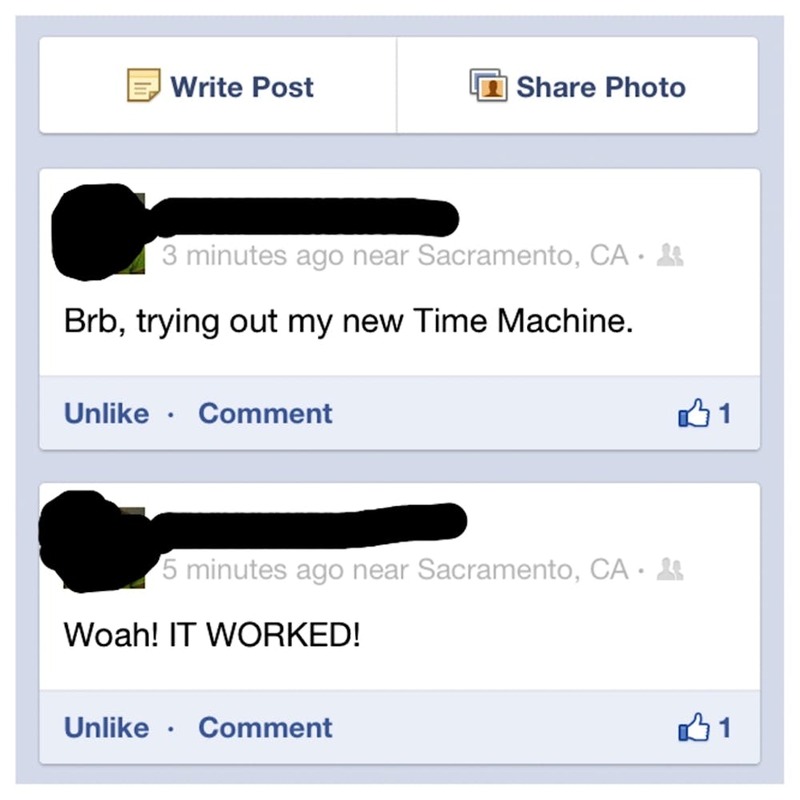 Honestly, I would find a better use for it than making bizarre posts on Facebook. I guess there is more than one way to approach a problem. With this method, you better have some real good upper body strength. Better yet, to avoid injury and potential death, I would recommend actually using a tool designed for the job. It must be nice to be related to someone so smart. 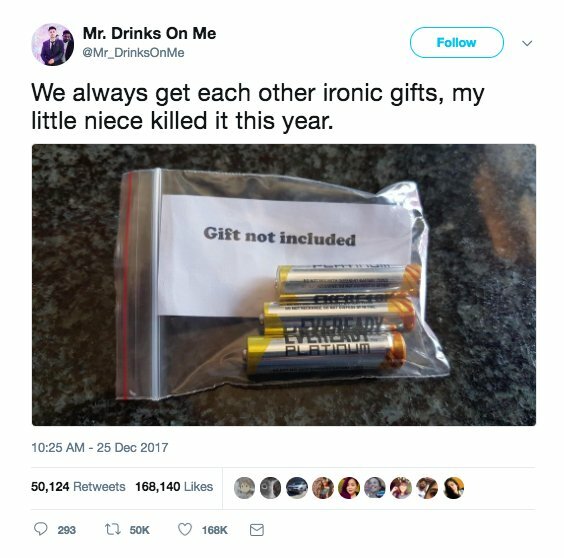 If this was my niece, I would take her down to the store and tell her to pick out a gift to go with those batteries, and then give it to her. While this might work in some circles, I have a feeling that this would come off as cheap to many ladies. Testosterone aside, you should always opt to buy your girl or guy flowers as it is one of the best ways to say you love them and are thinking of them.